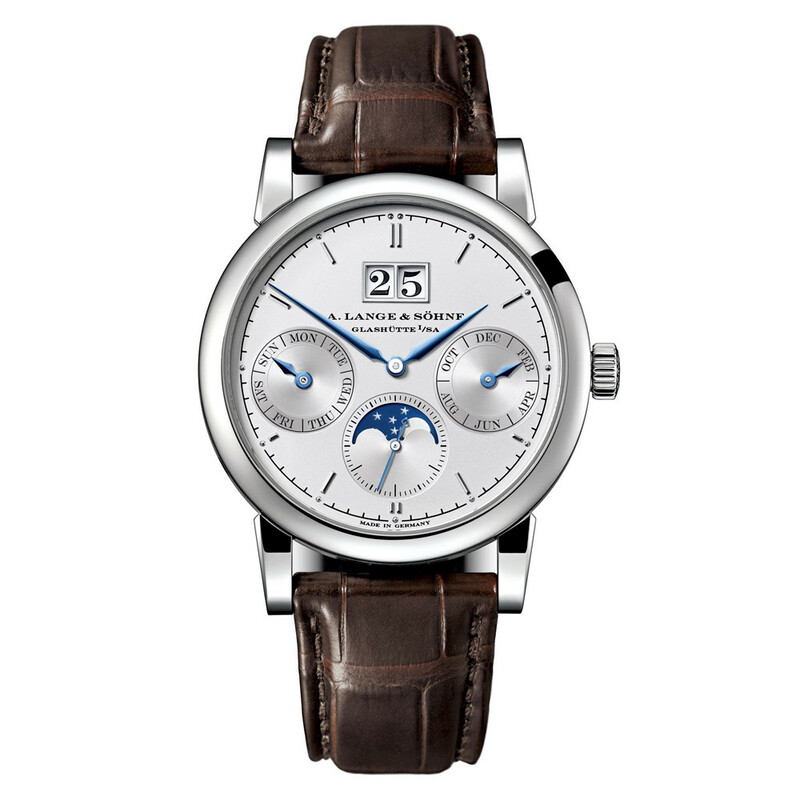 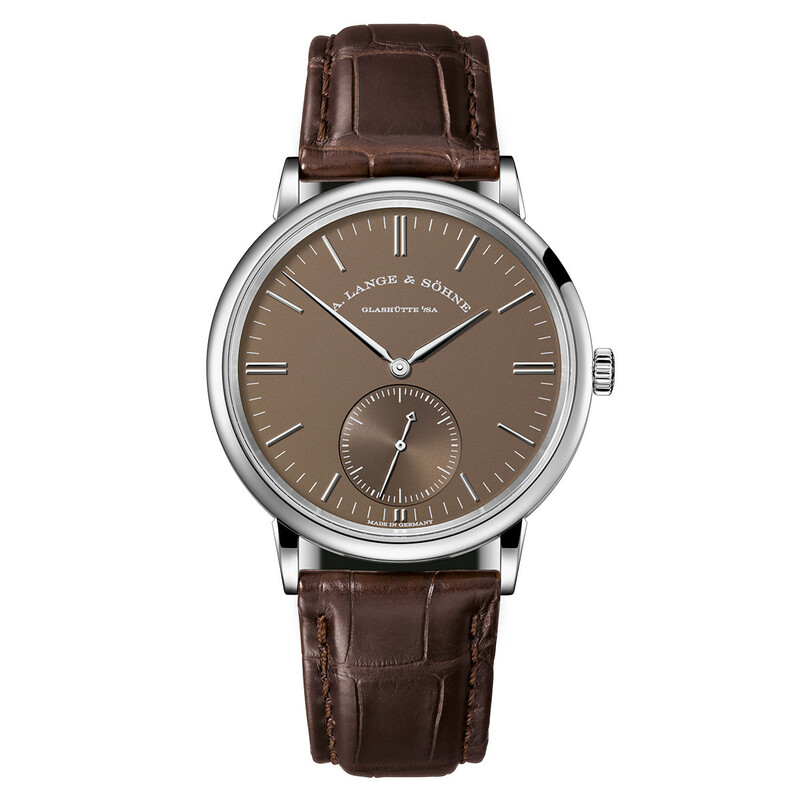 The A. Lange & Sohne Saxonia Outsize Date (ref. 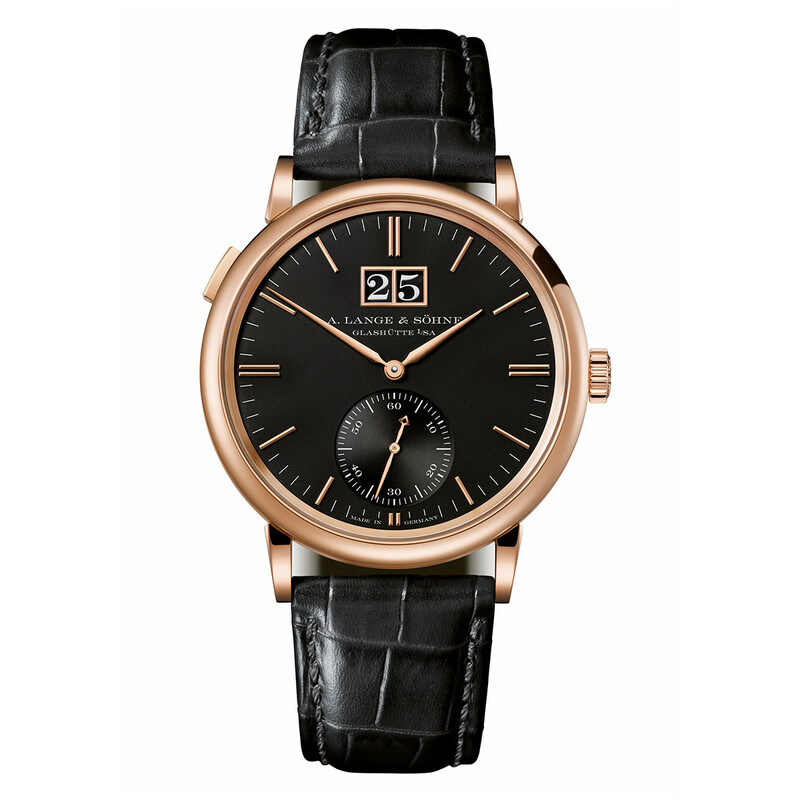 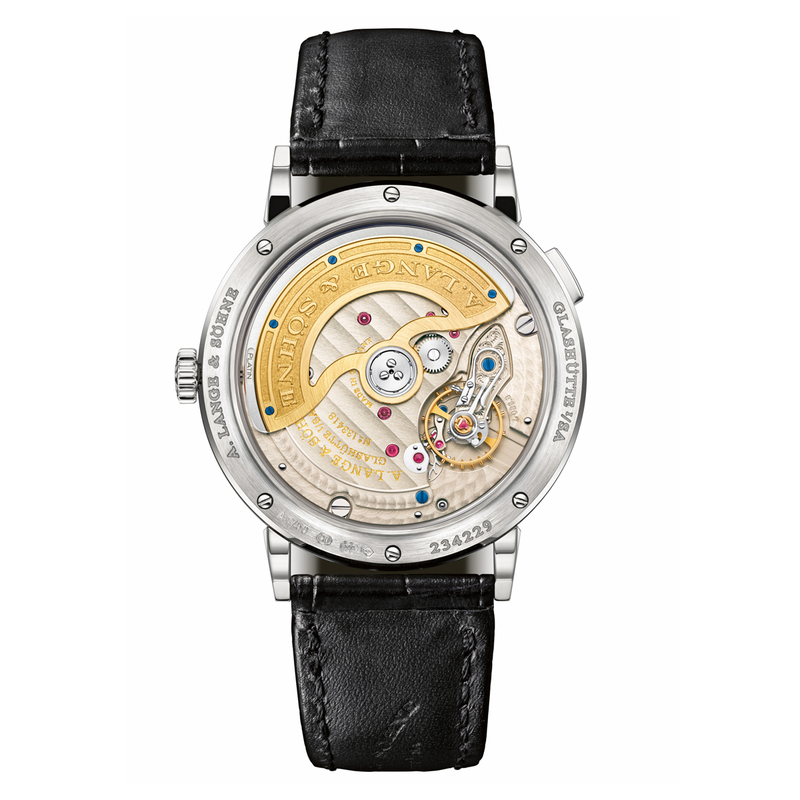 381.029) features the L086.8 mechanical automatic movement with an approximate power reserve of 72-hours when fully wound; black dial with white gold index hour markers & rhodiumed gold hands; large date display beneath 12 o'clock; small seconds subdial located at 6 o'clock with stop seconds; sapphire-crystal, transparent case back; and 38.5mm, 18k white gold case on a hand-stitched, black crocodile strap secured by an engraved, solid 18k white gold ardillon buckle. 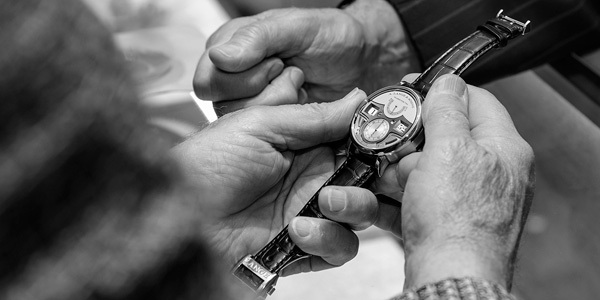 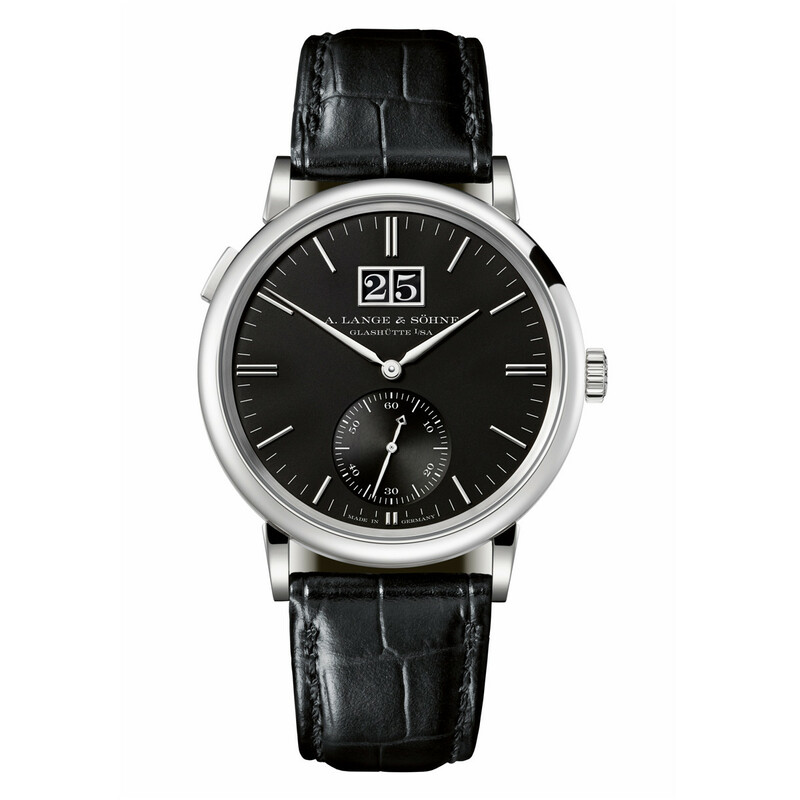 Black dials characterise the expressiveness of the newest addition to the SAXONIA watch family. 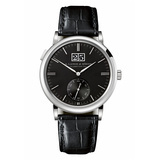 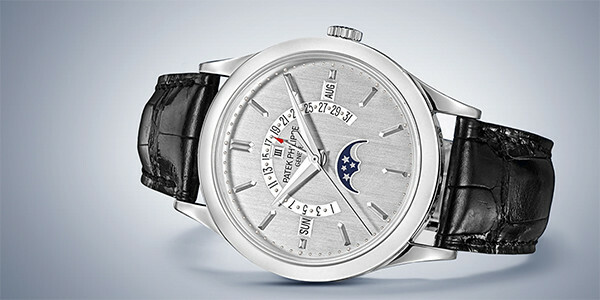 In the SAXONIA OUTSIZE DATE, the characteristic Lange outsize date sports a new design: the two classically white discs with black numerals are now black and feature white printed numerals.